Working with vocals can be tricky. More often than not, when there’s a vocal present in a track it automatically becomes the defining part of the composition. Whether it’s a short sampled hook, a full recorded lead vocal or a remix acapella, the quality, clarity and tone of the vocal line can leave a lasting impression on the listener and define how they hear your track. While, naturally, the source material plays a major role, how you process and mix vocals can totally transform the end result. 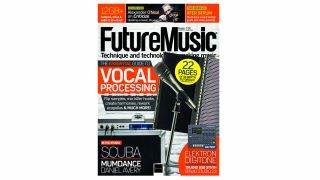 In this month’s cover feature, we’re digging into the multitude of ways we can work with vocals to bring out the best in them. Whether you’re looking to refine a recorded vocal, flip a short sample or enhance an acapella, we’ve got ideas and tips to help you along. Access the FM sample archive: Download the ‘Archive’ packs and get over 12GB+ of loops, hits and instruments from our back catalogue of high-quality and royalty-free samples. 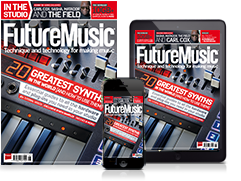 From vintage synths and drum machines to esoteric instruments and FX – think of it as our best of. All the samples you need to create great music!